According to the Annual Report of the National Injury Mortality Surveillance System, the leading cause of non-related deaths in the 0 to 14 year age group is drowning. The law states that if a pool is not controlled according to the by-laws then it is deemed to be an offense by the pool owner. The owner of any site which contains a swimming pool or swimming bath shall ensure by means of a wall or fence that no person can have access to such pool or bath from any street or public place or any adjoining site other than through a self-closing and self-latching gate with provision for locking in such wall or fence: Provided that where any building forms part of such wall or fence, access may be through such building. Such wall or fence and any such gate therein shall be not less than 1,2m high measured from the ground level, and shall contain any opening which will permit the passage of a 100mm diameter ball. SABS 0134. 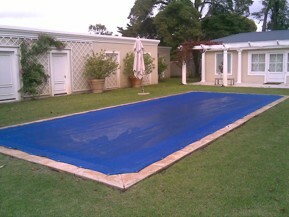 Although not law it is suggested that every outdoor pool should also be covered. 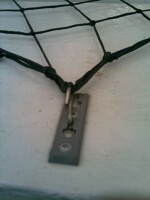 A safety net, if correctly installed is a wise option for child safety as it is designed not to let a child crawl under the net and will have a mesh size to prevent the head of a child going through, yet at the same time preventing the child from rolling or crawling further into the middle of the net as the child’s arms or legs will get stuck in the holes and immobilize him or her and keep the head above the water..
A leaf cover which is made from shade cloth will only prevent leaves and dirt from getting into the pool, but because it is porous and contains tiny holes a child can easily slide to the lowest point being the middle of the pool and therefore be submerged in water. 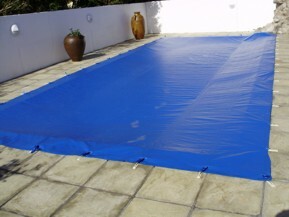 A solid or PVC cover once installed correctly will also prevent dirt from entering the pool but the concern here is that rain water will collect upon this causing a pool on top of your pool and of course also a danger of drowning. This material is also slippery when it is wet so if a child did try to walk across it which is quite possible as it is supported by the water beneath, they may slip and hit their head on the paving surround. 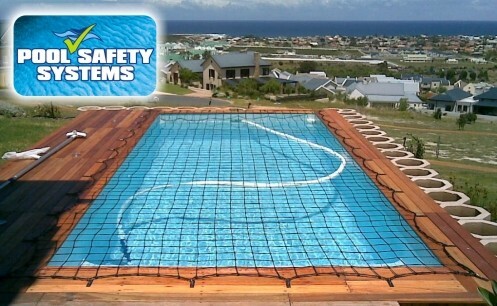 There has been an instance in Cape Town where a child managed to get beneath one and was later found drowned.